With Halloween quickly approaching, we are deep in the planning stages of all of our costumes and accompanying accessories. My older daughter has quite the dramatic streak flowing through her sassy little body, so when I was thinking of what kind of Halloween treat bag to make for her, I knew I wanted to go more towards a not-so-spooky style of Disney villain. Because her coloring and style leans more towards that of Snow White, I thought I’d create something with a twist of the Evil Queen and her offering of the poisoned apple. With that, the Take a Bite Halloween Tote was born! Step One. Download the Take a Bite Cricut cut file HERE. Step Two. Make sure to set the setting to mirror image before you cut the vinyl. Cut the vinyl. If you’ve never cut heat transfer vinyl before, you can find directions HERE. Step Three. Peel the excess vinyl from the images. Step Four. Place the glittered apple on the tote and iron it. If you’ve never applied iron on vinyl, you can learn how to apply it HERE. Step Five. After the apple has cooled, place the wording on the tote. Cover the vinyl with a light cloth and then press to iron. Isn’t the glitter vinyl SO pretty? I’m in love. Swoon. Step Six. Tie a length of striped ribbon on one of the handles to add a little extra visual interest. Reagan adores her new new Halloween tote and totally fits her sassy personality. She asked me if I could buy candy for Halloween early so she can fill her bag up. Good try, sweetheart. Ha! I know that I’m not the only one who loves Southern California vacations. I got together with some awesome AZ bloggers to share our love of So Cal! 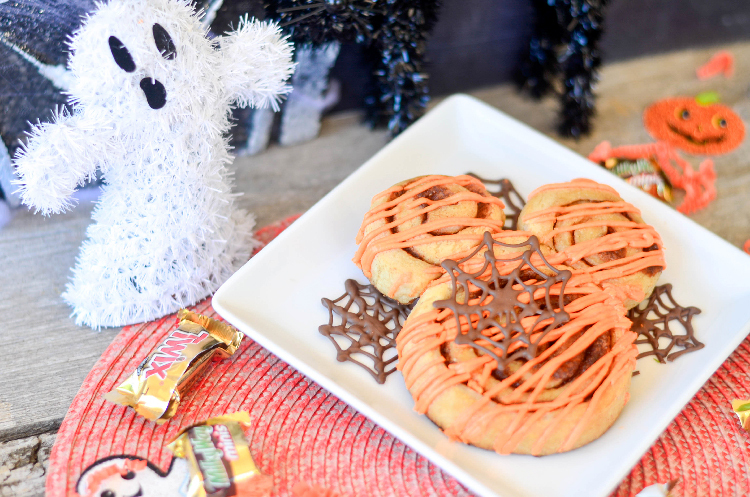 Check out these super fun Disney inspired not so scary treats and crafts to get you excited about Halloween Time at Disneyland. And just in time for October Break, we’ve got an amazing Southern California Giveaway for you! Enter using the Rafflecopter at the end of this post. Don’t forget to enter the Southern California giveaway! This giveaway is sponsored by Get Away Today. All opinions and ideas are 100% my own. There are affiliate links within this post, but cost you nothing. Not sure if this is the right place to comment or not….but I have to say Disneyland is my favorite place to visit in Southern California. This tote would be super cute to take along.